Member of Sep.3rd Society, Shanghai Senior Exhibition Expert, SJTU MBA MPA, major in material science and engineering (B.E. ), minor in computer science & technology. Nearly 9 years’ experience in exhibition industry, served nearly 100 exhibitions covering Germany, USA, HK, Singapore and most first second tier cities in China. Whichever position I took, I functioned well as a team leader when required, and I worked effectively as a team member under the direction of other team leaders. Regarding my working performance, it is highly respected by colleagues, boss, suppliers, and customers alike. 1. 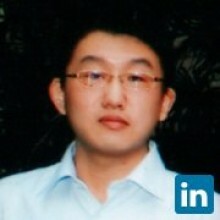 Consultant writer of the teaching material ‘The application of information technology in exhibition’’. 2. Part-time lecturer of “MICE career planning”, ”Exhibition risk management” in SHNU. 3. Publish several passages on industry core magazine ‘China conference & Exhibition’. ; VIP of TV program ‘Expochannel’ of SMG, Finance channel as well as radio program ‘The first exhibition’ of SMG, Finance radio. 2. Complete the information and registration service task of Mobile Expo Asia, China's top exhibition with highest service standard, lead the team to complete the services of a series of first tier trade fairs organized by the industry's flagship exhibition organizer like Reed, UBM, etc. 3. Expand the business to great China region like Hongkong, accomplish the registration service of some top events like HOFEX. 1. Continuously published 3 articles focusing on equity acquisition in authoritative publications like China Conference and Exhibition since July.2013. During this period, I also help MDA successfully launched Singapore film festival in Shanghai after the cooperation with SIFF office. I am invited VIP for Opening ceremony. Shanghai Oriental Expo Service Co.-Ltd.